Atlanta, GA — During a media session at SEC Media Days in Atlanta on Tuesday, Georgia Bulldogs head coach Kirby Smart was questioned about new Tennessee head coach Jeremy Pruitt. Both Smart and Pruitt served as the Tide’s defensive coordinators in their coaching careers. Smart was the defensive coordinator for Alabama from 2008 to 2015, and Pruitt took over that position immediately after Smart was hired as the Bulldogs’ head coach in 2016. The two coached together at Alabama as well. Pruitt served as the Tide’s Director of Player Development from 2007 to 2009 then was promoted to defensive backs coach in 2010. He served in that role till 2012. Smart also freely credited Pruitt with some of Alabama’s success when they were on staff together. The defending SEC champion head coach even sees similarities between himself and Pruitt, though Pruitt has yet to coach a game at Tennessee. 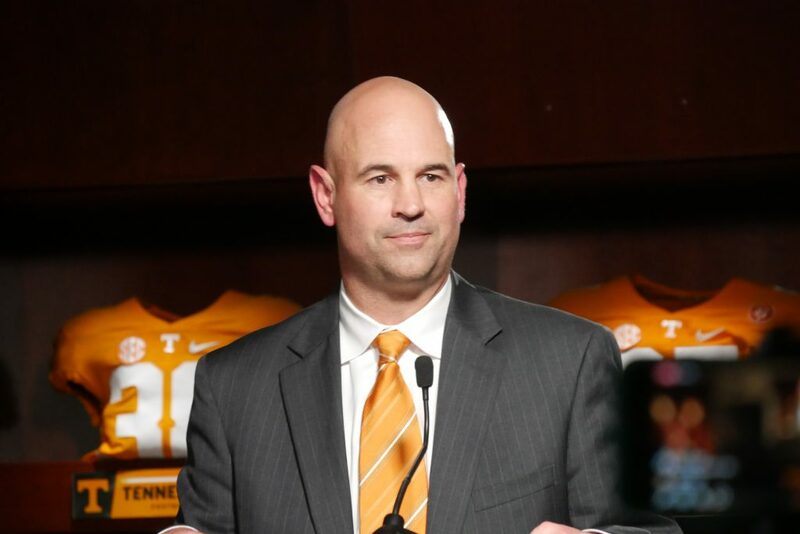 Vol fans hope that Pruitt can follow in Smart’s footsteps when it comes to having early success as a head coach. Smart went 8-5 in his first year with Georgia then helped lead the Bulldogs to a 13-2 record, SEC title, and appearance in the National Championship Game in his second year. We will continue to bring you coverage from SEC Media Days later this week. Wil Wright is an SPJ award-winning sportswriter with a decade of experience covering University of Tennessee football and basketball. He saw his first Vols football game in blankets and was in the Pride Of The Southland Marching Band for Tennessee’s 1998 undefeated national championship. Outside of sports, Wil is a video editor, a veteran of the East TN music scene, a dad, and a husband.